BOTOX® Cosmetic is a doctor-administered non-surgical facial procedure. In fact, it is the world’s number one cosmetic procedure. It involves placement of BOTOX, a purified protein, into selected muscles to relax facial lines and wrinkles. BOTOX works by preventing contraction of muscles. 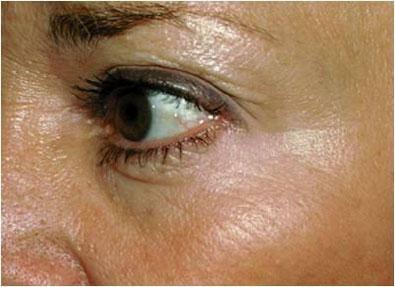 When the muscles relax, the overlying lines and wrinkles of the face become less prominent and in many cases, disappear. It is used by millions of people around the world to give a less tired, more refreshed appearance and to soften lines and wrinkles that develop over time. BOTOX is purified protein made by Clostridium botulinum, a bacterium. The first doctors to discover and use BOTOX were ophthalmologists. Because BOTOX prevents contraction of muscles, it was first approved by the FDA in the 1990’s to treat certain medical conditions caused by overactive muscles. These included debilitating eyelid spasms, crossed eyes, and even headaches. While ophthalmologists were using BOTOX for these purposes, many patients began to notice that the lines and wrinkles around their eyes were decreasing. This led to the approval of BOTOX for cosmetic uses in 2002 by the FDA. What kind of wrinkles does BOTOX help? There are two types of wrinkles or facial lines. One type is related to loss of skin elasticity. 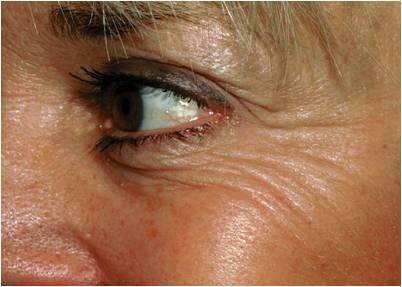 The second type of wrinkles, called “dynamic” lines, are caused by repeated muscle movement. BOTOX is used to soften and eliminate these dynamic lines. Brow lines. The second region is the horizontal lines across the forehead, known as “brow lines.” You can see these lines across your forehead by raising your eyebrows. Crow’s feet. The third region where dynamic lines form is at the corner of the eyes, near the temples. These are known as “crow's feet,” and are accentuated by squinting. By preventing the contraction of the underlying muscles, BOTOX smooths and decreases the appearance of these stubborn dynamic lines, resulting in a youthful natural look. You will begin to see improvement within a few days, as the BOTOX relaxes the muscles. Improvement can continue for up to one month and the effects can last up to 4 months. If you discontinue treatment, the appearance of lines gradually returns to the way they looked before treatment. BOTOX is administered by placing a few tiny injections into the muscles that cause those persistent lines. There is usually very little discomfort. Before the injection, the area will be numbed with cold packs or an anesthetic cream. The entire procedure takes about 10 minutes, and you’re on your way back to your regular activities. Most BOTOX uses are between the ages of 18 and 65 years old and use BOTOX to soften the furrow between the brows to avoid an appearance of unintended anger or hostility and to regain a refreshed look. Other Botox users smooth the forehead lines and the “crow’s feet” lines at the corners of the eyes with injections to the appropriate muscles. Both women and men use BOTOX. Some people like to use BOTOX regularly a few times a year, while others use it in preparation for special occasions like an important work meeting, a wedding, a party, holiday, birthday or other special event. BOTOX should not be used in people with certain neuromuscular disorders such as myasthenia gravis, Lou Gehrig’s Disease (“ALS”), and Eaton-Lambert syndrome. Anyone with an allergy to any of the components of the formulation should not receive BOTOX. BOTOX should be avoided during pregnancy or while nursing. BOTOX has a long history of safe use and there is a low probability of any side effects. In fact, side effects occur in less than 1% of Botox injections, and when they do occur they are usually mild and temporary. The most common side effect is mild localized swelling for a few hours after the injection. In some cases, bruising may be associated with the injection. Our consent form discusses the side effects in detail. Will my facial expression continue to look natural? Although the results are visible and can dramatically improve your appearance, BOTOX will not radically change your facial characteristics or make you look as if you’ve “had work done.” The muscle activity is reduced, causing the lines and furrow to decrease. One of the reasons for Botox’s popularity is that it’s quite affordable. 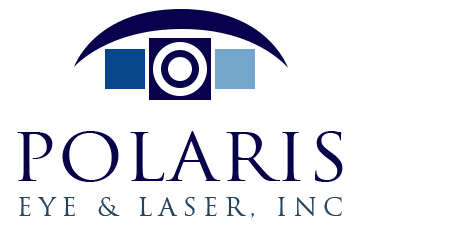 At Polaris Eye & Laser, Inc., your treatment can be as low as $350.00 per area. Ophthalmologists are particularly well-qualified to administer BOTOX because of their intimate familiarity with the eyelid, brow, and facial regions. In addition, BOTOX was first used by an ophthalmologist over 30 years ago, and ophthalmologists have been administering BOTOX longer than any other doctors. To learn more about BOTOX® Cosmetic, visit www.Botox.com. For a consultation or for ongoing treatment with Dr. Kim, please contact us.